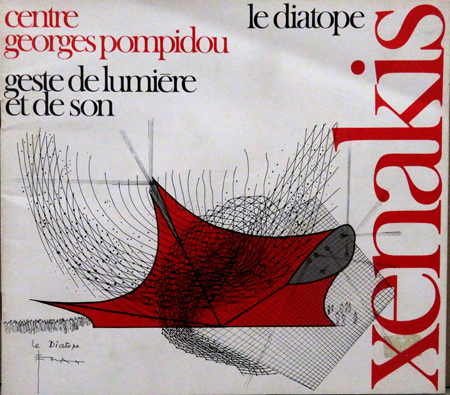 The cover of Iannis Xenakis’ Le Diatope program, circa late 1970s. The accompanying music–the 45-minute La Legende d’Eer (Diatope)–is an all-time masterpiece of massive, timeless sound. Listen to it below. 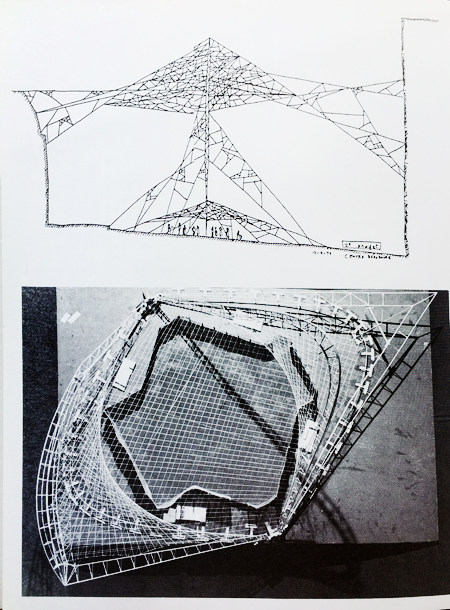 Audio stream of La Legende d’Eer by Iannis Xenakis. 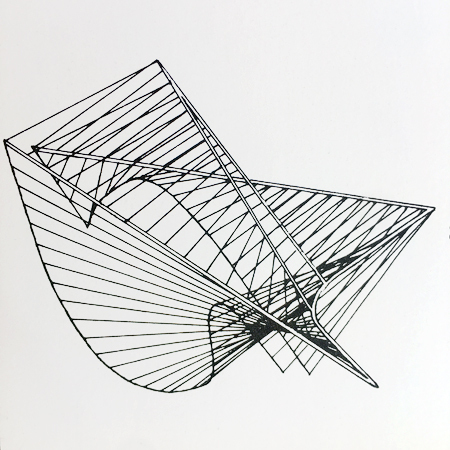 Artwork by Iannis Xenakis in Le Diatope program, circa late 1970s. 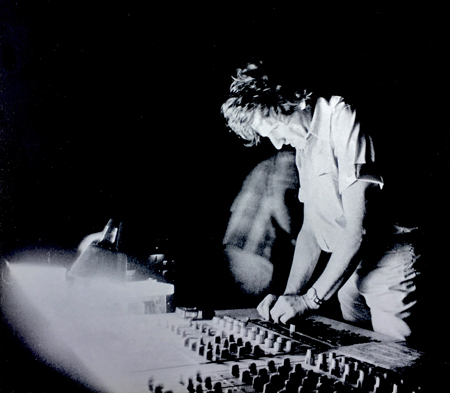 Iannis Xenakis’ mans the mixing board, circa late 1970s. 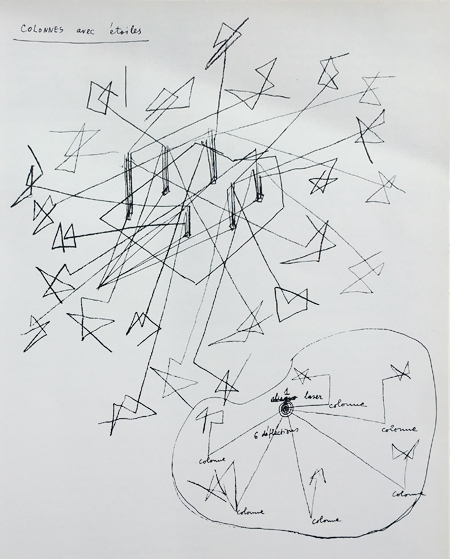 Columns of Stars in Iannis Xenakis’ Le Diatope program, circa late 1970s. 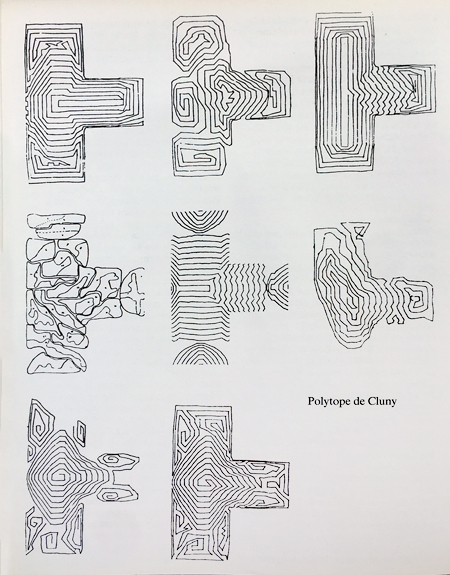 Artwork for the Polytope de Cluny in Iannis Xenakis’ Le Diatope program, circa late 1970s. Polytope de Cluny documentary by Mode Records. This entry was posted on Friday, December 1st, 2017 at 5:58 pm	and is filed under Iannis Xenakis. You can follow any responses to this entry through the RSS 2.0 feed. You can skip to the end and leave a response. Pinging is currently not allowed.